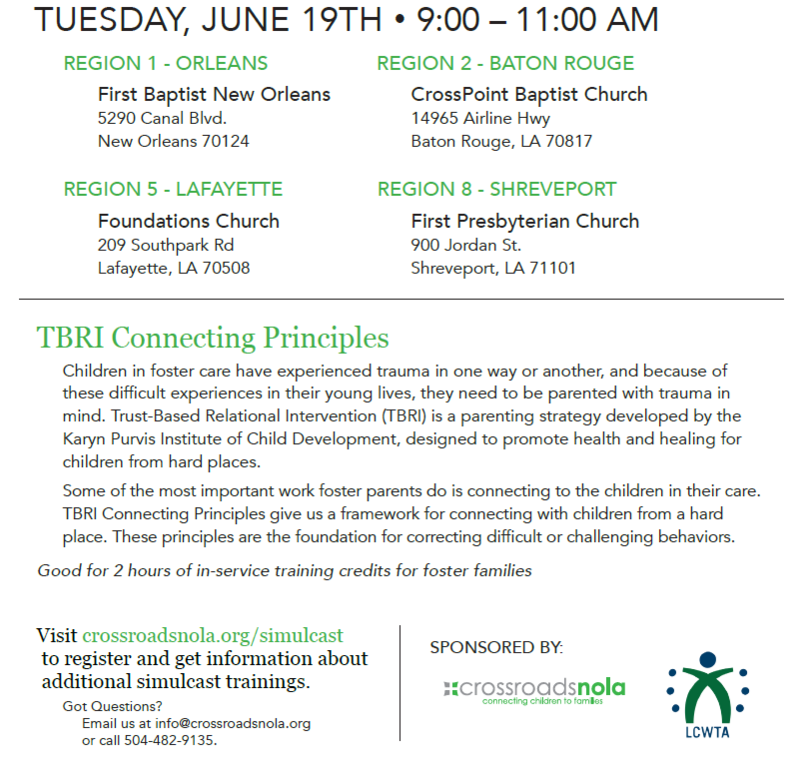 One of our partners and valued Foster Friends volunteer, Alisha Thomas, is hosting a free training simulcast next Thursday, June 14 and the following Tuesday, June 19, in partnership with Crossroads NOLA. These trainings are designed for foster parents. Both will be exactly the same and will be on Trust-Bast Relational Intervention. TBI is a parenting strategy designed to promote health and healing for children from hard places. Below is the link to register, as well as the two Facebook event links with more info. Feel free to share with others. We hope you can take advantage of this free class.